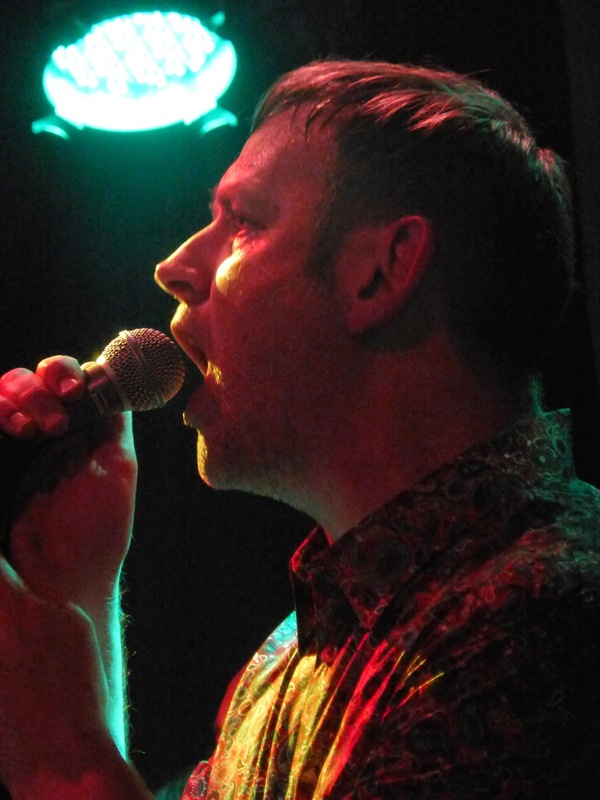 Fresh from recording their forthcoming self-titled album, Inspiral Carpets played their first gig of the year at XFM's First Friday night at Manchester's Band On The Wall. Even The Stars joined four hundred other punters for a hot sweaty night of hits, back catalogue gems and new songs. Reformations are ten-a-plenty. It's not often though that a band reforms with a different line-up to the one that made them successful. Rarer still when that line-up includes a different singer. But that's what Inspiral Carpets did and they've recorded a new album, due in September, to prove that they're not simply resting on their mighty back catalogue. This 400 capacity gig sold out in minutes and Band On The Wall is packed with friends and fans old and new eagerly anticipating their first hometown show for over a year. They don't disappoint. The classics we know and love - Move, This Is How It Feels, She Comes In The Fall, Generations, Dragging Me Down, I Want You and closer Saturn 5 - are all there and singer Stephen Holt has grown in confidence so much since they've been back that, with all due deference to Tom Hingley, he doesn't sound or look out of place singing them. We also get rarities such as Dung 4 tracks Seeds Of Doubt and 96 Tears and Life album tracks Directing Traffic and Sackville. The diehards want to hear the new material though and we're treated to the unveiling of new single Spitfire, due for release in August. It's a organ-driven typical slice of Inspirals garage pop with a singalong chorus and it gained a rapturous response. Similarly, Changes, revealed first on their 2012 tour but not yet released, delights the audience with its references to King Tubby crackling on the stereo. Final new song Calling Out To You does show us however that the album isn't going to be chock full of short sharp loud bursts of songs. It's beautifully paced, almost wistful in its mood, but immediately recognisable as Inspiral Carpets. Add in 2012 single You're So Good For Me and the future of the band, at least on a creative level, looks as bright as it's ever been. And they look like they're having a whale of a time. There's knowing looks and smiles, keyboard player Clint Boon name checks some of the audience as if he's pointing them out to mates in a pub and it feels like they think they're doing the best job there is in the world and loving every minute of it. The crowd bounce and sing back every word like Manchester's first middle-aged balding slightly portly choir. Inspiral Carpets played : Joe, You're So Good For Me, Directing Traffic, Two Worlds Collide, She Comes In the Fall, This Is How It Feels, Spitfire, Generations, Move, Dragging Me Down, Butterfly, 96 Tears, Changes, I Want You and Sackville with an encore of Seeds Of Doubt, Calling Out To You and Saturn 5. Their self-titled album is out in September and they have a full UK tour planned for later in the year. They also play Buckley Tivoli this Wednesday (11th June), Isle Of Wight Festival (12th June), Oxford O2 Academy (13th June), Bedford Corn Exchange (11th July), Frome Cheese And Grain (12th July), T In The Park (13th July) and Scunthorpe Cafe Independence (19th September) as well as a few European dates. For more photos from the show, please visit our Facebook photo album. Photos (mostly) by Alex Staszko.